In an area where Confederate and Federal troops have camps fairly close to each other, there are regular encounters and small battles between the two. On one night, a squadron of Federal troops was making its way down a dark road. When they come to the three sentries they sent ahead to only find out that there's two of them, the major inquires about the missing cavalry. The two explain that the third went riding forward into the darkness. The consensus is that he ran forward because he was scared. The squadron continues to move forward but as the road gets darker, the major stops the squadron and goes on ahead. Further down the road, he sees a dark figure and it's only moonlight that reveals it is the missing cavalryman. The cavalry's horse is dead and he is standing still over it. He signals to the major to return. The major listens and waits for the cavalryman to return. As morning breaks, the squadron moves forward and finds the cavalryman dead by a bullet on top of his horse. When they examine the area behind him, they find that there was Confederate soldiers had been there laying wait until recently. 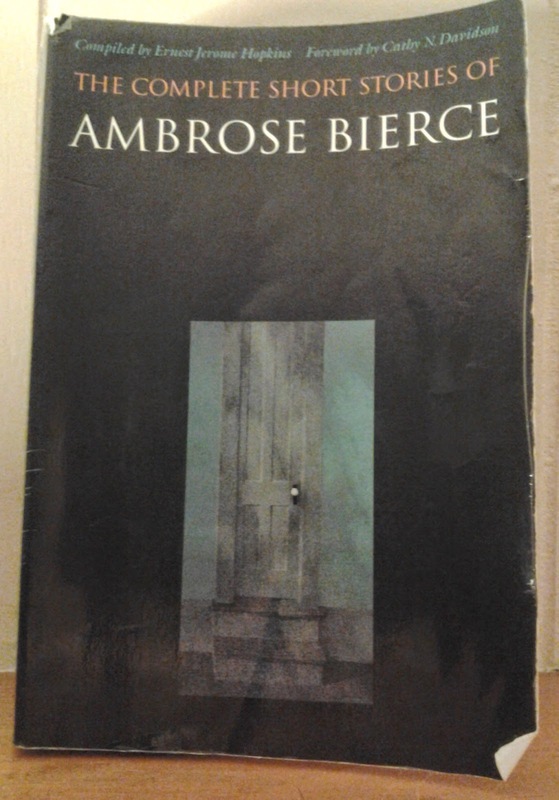 So as you can see, I'm shifting into some of Bierce's war stories. His overall war works are anti-war but there are pieces like this that are something else altogether. I'm not sure if I fully get the experience of the tale. Is it suggesting that the cavalryman was brave because he went ahead and not a coward as expressed or that there is a bit of bravery and cowardice in all soldiers?